He was the son of Ben E. (son of Confederate general William L. Cabell) and Sadie E. (Pearre) Cabell and attended Oak Cliff High School in Dallas, Texas Earle Cabell (October 27, 1906 – September 24, 1975), was a Texas politician who served as mayor of Dallas, Texas. 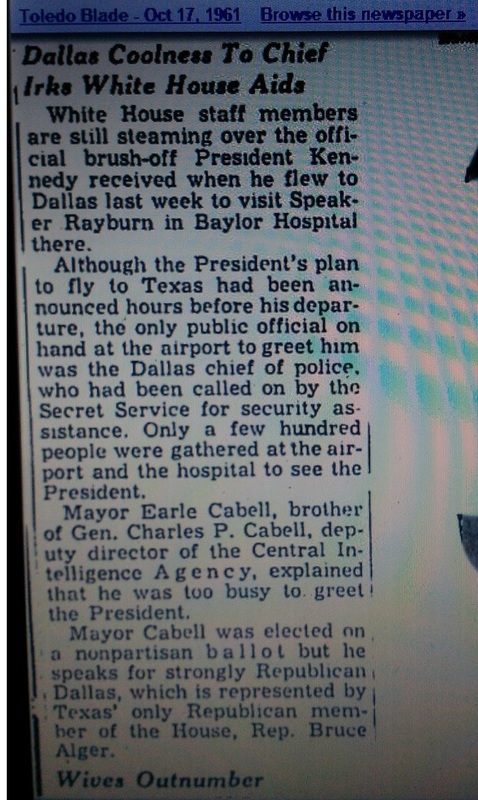 Cabell was mayor at the time of the assassination of John F. Kennedy and was later a member of the U.S. House of Representatives. He was son of Dallas mayor Ben E. Cabell and grandson of Dallas mayor William L. Cabell. CABELL, Earle, a Representative from Texas; born on a farm, south of Trinity River in Dallas County, Tex., October 27, 1906; graduated from North Dallas High School in 1925. He was the brother of Charles Cabell, who was Deputy Director of Central Intelligence until he resigned in the wake of the Bay of Pigs invasion. In May 1961, he was elected mayor to succeed Robert L. Thornton- the RL Thornton Freeway (sign) was near the assassinationFor five years following his graduation from the academy, Lieutenant Cabell served with the 12th Field Artillery at Fort Sam Houston, Texas. He then was assigned to the Air Corps Primary Flying School at Brooks Field, Texas, from which he graduated in February 1931 when he went to Kelly Field, Texas. He completed the observation course at the Air Corps Advanced Flying School in June 1931 and remained at Kelly Field as a flying instructor. He was transferred to the Air Corps July 11, 1931. In September 1934 he became a flying instructor at the Air Corps Primary Flying School at Randolph Field, Texas. 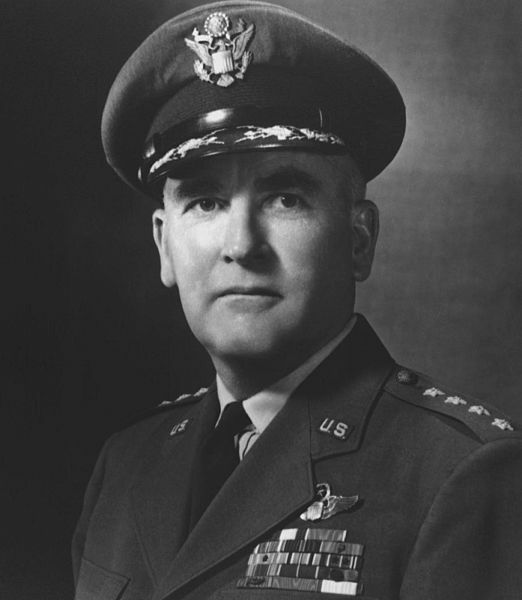 Captain Cabell later served as post adjutant and in September 1938 entered the Air Corps Tactical School at Maxwell Field, Ala., from which he graduated in June l939. In August 1939 he was detailed to the Command and General Staff school at Fort Leavenworth, Kan., from which he graduated in February 1940. John Alston Crichton, known as Jack Crichton (October 16, 1916 – December 10, 2007), was an oil and natural gas industrialist from Dallas, Texas, who was among the first of his ranks to recognize the importance of petroleum reserves in the Middle East. In 1964, he carried the Republican banner in a fruitless campaign against the reelection of Governor John B. Connally, Jr., then a Democrat, who in 1973 switched parties. Cabell attended Texas A&M University, where he met Jack Crichton and H.R. “Bum” Bright, and Southern Methodist University. After returning from college, he founded, along with his brothers, Cabell’s Inc., a chain of dairies and convenience stores. He later became involved with banking and other investments. 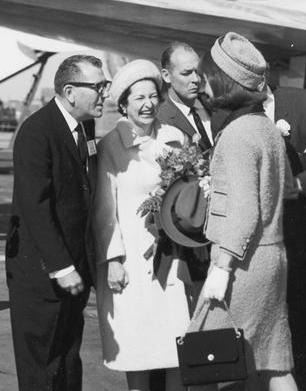 In May 1961, he was elected mayor to succeed Robert L. Thornton.On February 3, 1964, Cabell resigned as mayor of Dallas in order to run for Congress. He unseated the ten-year Republican incumbent Bruce Alger. In that same election, Jack Crichton was defeated by a wide margin by the Democratic Governor John B. Connally, Jr., and George Herbert Walker Bush fell to Senator Ralph W. Yarborough. Cabell served four terms in the House before he was defeated by the Republican Alan Steelman in the 1972 election. 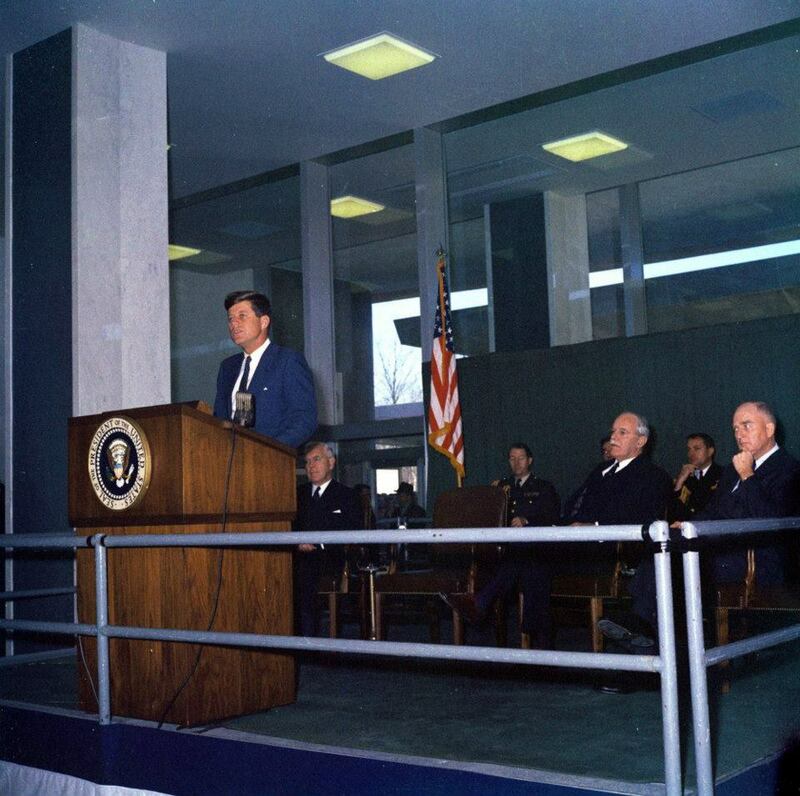 A heavy military intelligence presence pervaded Dallas on Nov. 22, 1963. That morning, FBI agent James Hosty met with an unnamed Army Intelligence officer. Secret Service agent Winston Lawson, who approved the motorcade route, was a member of Army Intelligence Reserve (AIR). Deputy Police Chief and AIR officer George Lumpkin rode on the motorcade’s pilot car. James W. Powell, another AIR officer, was stationed in front of the Texas School Book Depository, and was present when the rifle was found on the sixth floor. The local head of Army Intelligence was oil man Jack Crichton, who recommended the first Russian interpreter used by the Secret Service in questioning Marina Oswald. The true nature of Lee Oswald’s connection to military intelligence remains obscure because Defense Intelligence Agency files on him were never shown to the Warren Commission and were later “routinely ” destroyed. In 1952, he was an enthusiastic promoter of the U-2 spy plane, along with Allen Welsh Dulles and John Foster Dulles. On April 23, 1953, while still an active Air Force officer, he was appointed deputy director of the CIA. In 1956, along with the CIA’s Richard Bissell, he flew to Bonn, to brief the West German Chancellor, Konrad Adenauer, on the U-2 program. Adenauer allowed U-2 planes, pilots, and support teams to be based at Wiesbaden. He was promoted to full general in 1958. 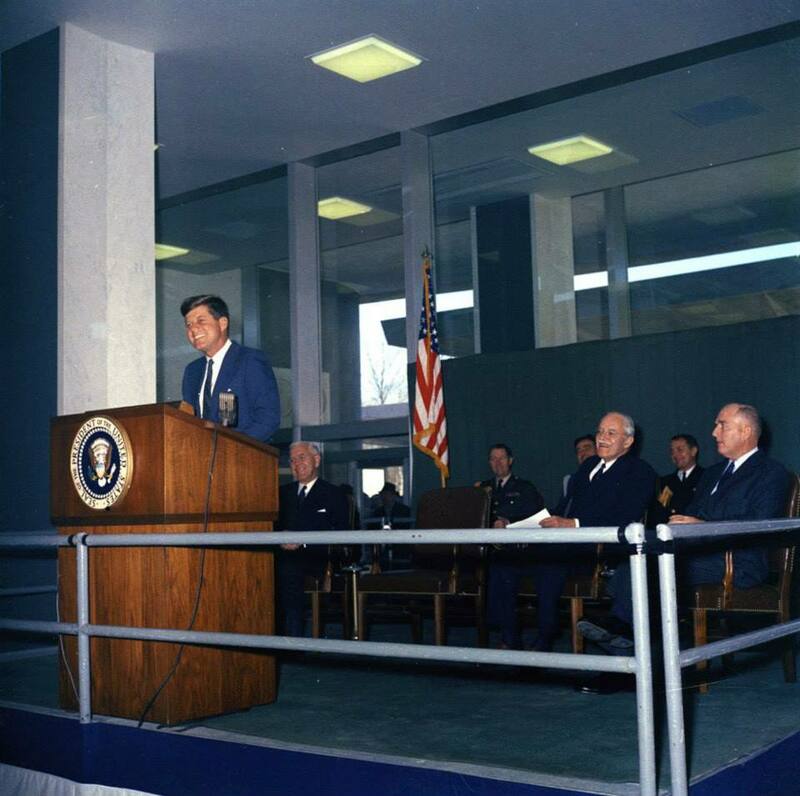 In 1965 he was appointed a consultant to the National Aeronautics and Space Administration. hatred of John Kennedy became an open secret in Washington. 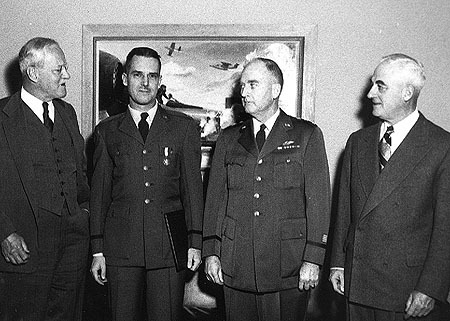 Allen Dulles, Gen. Ed Lansdale, Gen. Charles P. Cabell, Mr. Nathan Twining. On that day only two individuals would have been able to direct such an order and that would have been the President himself or Floyd Boring SAIC. In my opinion, and you know about opinions, if you find out who else was in that chain of command “during that moment” you will be able to rationally determine why the agents jumped down for a portion of that politically motivated route through the city. Take care Vince and please don’t give up. Hi Vince. Very glad your still on the case. You know your making a difference when “Big Brother” is watching and complaining. I have reviewed your blog and I think your tenacity and perserverance will some day bring the truth to light. It DOES matter. Hang in there with greater vigilance and determination now. You got-em worried. On another note, I noticed my dad was not mentioned as one of the A[T]SAIC on the Kennedy Detail in Dallas. As you know, he was waiting for the president at the Trade Mart. Just sayin.